The last few we’ve seen had the common P1649 fault which is also a fault code shared with VW’s and refers to the same problem (Implausible Signal From ABS Control Module). Audi’s & VW’s are very well known now for their weak ABS pumps & control modules so it’s not uncommon if you’ve got an Audi and your ABS light is on, get it checked out by an auto-electrician and if it does turn out to be a faulty ABS unit then call us with the part numbers. We could possibly have one sitting on the shelf ready to exchange or repair your own unit. All our products & services are fully backed by our 1Yrs warranty. When your ABS unit fails or you can see the ABS light lit up on your dash board, you should take caution when driving because this means the ABS pump will not pump the brakes. In some cases it will not effect normal driving, but we have seen on many new vehicles with ABS & Traction Control in one that the vehicle becomes somewhat unstable when the module is not working. Also, you must remember that if the ABS pump is not pumping, then the brakes efficiency will be greatly effected under heavy braking. It is advised that you should only drive the vehicle if you really have to when the ABS light or Traction light is on to be absolutely safe. If you’re unsure, call us for more information on 0871 2887 666. 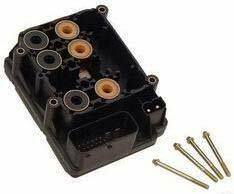 We are repairing ABS pumps & ecu’s on a daily basis so if you think yours has failed, or your not sure then give us a call with your part numbers and we’ll tell you how much it will cost and the turn around time. As a general guideline we aim to repair all units within 48-72 hours, however, this may vary and we will always notify you of any changes. If you do decide to send your unit in to us, we do ask that you keep the module attached to the pump and send both parts into us so that we can do a complete test on both the pump & module at the same time. There is no extra charge for this service. Tags : 0265 220 408 audi bosch abs, 18446001236, 8N0907379E Audi ABS Unit Repaired & Exchanged, Audi TT - P1649 Implausible Signal, audi tt abs ecu faults, audi tt abs module faults, audi tt abs pump faults, audi tt abs sensor, audi tt abs warning light, audi tt bosch abs unit, audi tt quattro abs bosch unit repairs, Audi TT Quattro ABS Ecu Repairs, Audi TT Quattro ABS Pump Repairs, Audi TT Quattro No comms, Audi TT Quattro P1649, audi tt quattro traction control problems, audi tt quattro wheel sensor light, P1649, P1649 Data Bus Link Error, P1649 No Comms. I have a esp light on my dash and diagnostics suggest its a sensor In my abs pump. 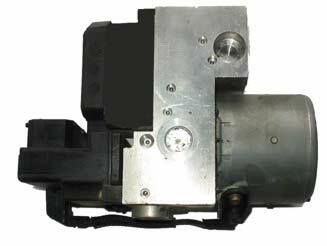 The Part number 8no 614 517 h.